Bekal Fort Beach is a long stretch of golden sand that lies adjacent to the Bekal Fort. 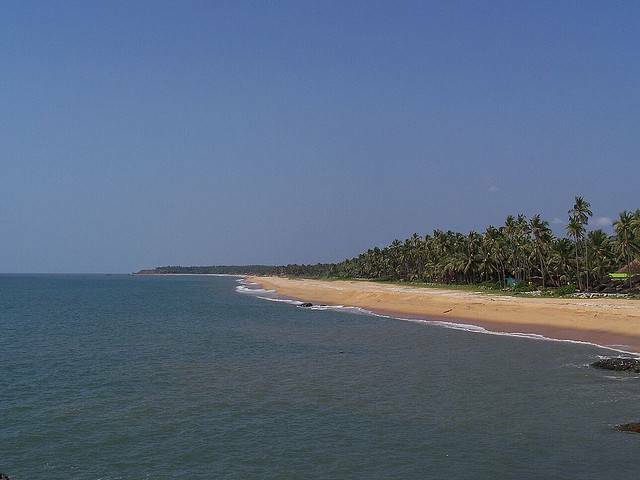 The site of the beach has been improved by the local government, making Bekal a better all-round tourist destination. There are two sculptures of Theyyam on the beach. There is a rock garden near the parking area and beachside trees have also been planted. Perhaps the best feature is the night lighting. Tourists can lie on the beach after sunset, enjoying the sound of the Arabian sea. If you want to swim, check with local lifeguards first, as currents and riptides can be extremely dangerous.